Such is the nature of the legal profession, hellbent on protecting itself from any chance of reform at all, an ex-judge, who is widely known to be quite vocal against any changes in the way the Judiciary & legal profession do their centuries old business, has warned SNP Justice Minister Kenny MacAskill in an 'open letter' printed in the Scotsman, that he and the new administration are certainly being kept an eye on. "For us, the truth is different. But, despite your title, the true content of your ministerial portfolio is not "justice" at all. You cannot provide, or even administer, justice. Society has entrusted judges with that responsibility. Their job is to try to ascertain the facts and apply the law impartially. They must act separately from the political power and apply the law impartially: that is the principal feature of the rule of law. You, as an experienced lawyer, understand that well. " 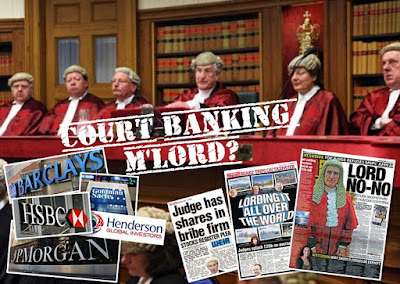 While Lord McCluskey, now a peer in the House of Lords may be slightly correct on that one, the Courts haven't been giving that much justice to people at all - indeed, the Judiciary, who control the Courts have sided with their colleagues in the legal profession many times, restricting even the availability of access to justice, ultimately deciding who would get into Court and who would not. 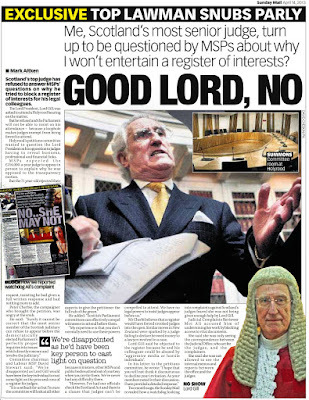 However, Lord Hardie went one further ... he recommended repeal of those sections of Law allowing more widely available access to justice .. because of course, the legal profession are completely against opening up their business monopoly to allow anyone access to legal services .. as of course, that would mean that anyone could get access to the Courts - and the legal profession would be powerless to stop it. 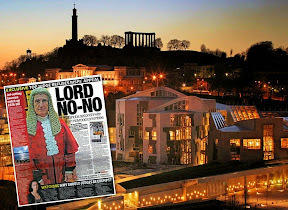 The Clementi reforms to legal services, however, are not going to be implemented in Scotland - instead, a "version" of the Clementi reforms, known generally as "Tesco Law" may make it to the books - but that begs the question, if there is a wider choice of access to justice & legal services in England & Wales, why leave Scotland trailing behind ? Is that perhaps just to satisfy the likes of the Law Society of Scotland and their members who want to protect their business market monopoly on legal services ? MacAskill, who was confirmed as cabinet secretary for justice on May 17, again said that the new government will draw the line at introducing Tesco Law. He told The Herald: "There's probably an opportunity for a middle way that is not Tesco Law and which preserves the integrity of the profession and avoids high street law firms being decimated, but which allows the larger firms to raise outside capital to pursue their global ambitions." 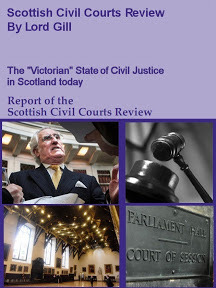 Well, while it's good the new Justice Minister recognises there is a need for reform to legal services, it would be much better to follow the full thrust of the Clementi reforms in England & Wales - certainly anyone who has experience of using Scottish solicitors would probably agree on that one, many consumer organisations also agree, and recently the Which? 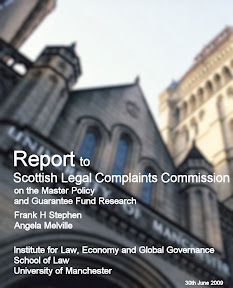 consumer association filed a "super complaint" with the OFT on these issues of restricted legal markets & poor regulation in Scotland .. .so if the OFT investigate and find there is indeed restriction on legal services & access to justice in Scotland - what will the SNP Executive do ? 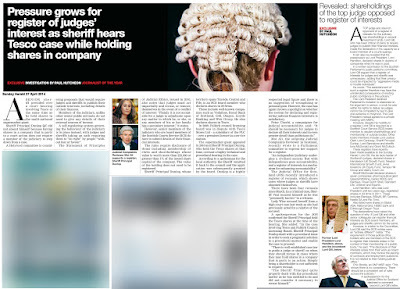 keep on plugging away with protecting solicitors business markets at the expense of access to justice ? or allow Scotland the same reforms the rest of the UK enjoy ? 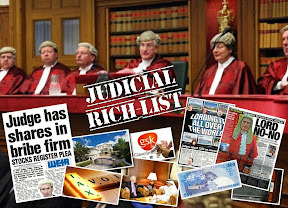 Despite being given a tap on the shoulder today by an ex-Judge, Mr MacAskill, please give us the access to justice which the rest of the country enjoys, and don't keep the Scottish people further in the dark just because the legal profession wants it so they can protect their monopolistic business model, ensuring they alone can decide who gets access to justice & access to the courts. Following articles from the Scotsman and Herald newspapers. ALLOW me to congratulate you on your appointment: it can be a bed of nails or roses - it depends on how you lie. May I be bold and offer you a word of advice, beginning with a story? The late John Smith often used humour to make a serious point. As the Soviet Union was approaching final collapse, he told of a young member of the Politburo of the Czechoslovak Soviet Republic who, attending his first meeting, listened silently while the old apparatchiks droned interminably on. Finally, the general secretary turned to him: "Comrade, would you like to say something at this, your first opportunity to contribute to the governance of our great Soviet Republic?" "Yes," he replied eagerly, "I propose that we create a ministry of marine resources." "But," the chairman replied, "Czechoslovakia is land-locked; we have no marine resources." "So what?" responded the young man. "We've got a ministry of justice." The story reflects a truth that is being lost as memories of Soviet rule fade: the so-called ministries of justice of the Soviet republics had little to do with justice and everything to do with using legal processes to suppress dissent and bury inconvenient truths. For us, the truth is different. But, despite your title, the true content of your ministerial portfolio is not "justice" at all. You cannot provide, or even administer, justice. Society has entrusted judges with that responsibility. Their job is to try to ascertain the facts and apply the law impartially. They must act separately from the political power and apply the law impartially: that is the principal feature of the rule of law. You, as an experienced lawyer, understand that well. So your job is different: it is to supervise the machinery of justice, to set the framework. That does not just mean the "pay and rations" - making sure there are enough judges, courts, clerks, to enable the administration of justice to proceed as smoothly as possible. It also means you must consider what measures, if any, are appropriate to lay before parliament to give effect to the considered and educated views of the public on such matters as sentencing, legal aid, rules of evidence, detention before trial and prisons. If you persuade parliament that change is necessary, then parliament enacts the law and the judges apply it, whether they like it or not. You hardly need me to remind you of this. Yet there is a seemingly irresistible temptation for ministers to try to "do something", to make a mark, to fashion a so-called reform that will be a lasting monument to the wisdom and perspicacity of its progenitor, and provide a line for the inevitable obituary. Forget it. Remember Diogenes. He was the wise man who, needing little and wanting less, lived in a barrel, enjoying the sun. Men came from far and wide to seek his advice. One day Alexander the Great himself arrived. Standing over the tub, he asked: "What can I do for you?" Diogenes replied: "Just stand to the side, you're keeping the sunshine from me." The lesson is sometimes the best thing is to have the humility not to interfere. For a minister of justice coming to office in Scotland, it is essential to remember our system has taken its shape on the anvil of experience. It is wiser than any of those who fashioned it. Even for you, a lawyer, the temptation to change is powerful. Your will to resist that temptation may be undermined by your inheriting a civil service machine that has hitherto shown little grasp of what make the Scottish system uniquely valuable. The previous administration, with a mix of arrogance and prejudgement, turned its back both on the history of how our system developed and on the massive studies that reassessed our legal institutions. It produced so-called consultation papers and ignored responses challenging the superficial thinking that lay behind their proposals. You are free to think for yourself. Please start again, remembering the history of our courts. You have plenty of time. Study the 20th-century history of their reform. Don't lay yourself open to the charge of arrogance, the charge that you imagine you know better than the historical process that gave us one of the world's finest legal systems. You don't have to do anything. 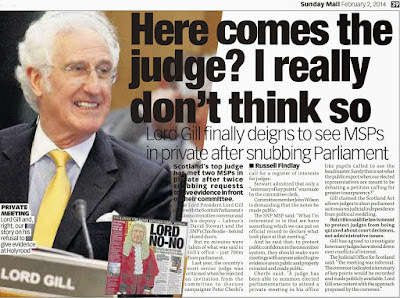 Emulate the bon vivant Lord Justice-Clerk Aitchison, who, when asked by his macer how he would respond to a newspaper's description of him as "the well-known Sottish judge", replied: "I shall just sit tight." I keep using the word "arrogance". So is this a case of an old pot warning a new kettle not to turn black? Of course it is! But this old pot has little power and no responsibility. You have both. We look forward to your exercising it with wisdom. Justice Minister Kenny MacAskill has said that the new Scottish Executive is prepared to implement a version of the Clementi reforms that would remove ownership restrictions on law firms. His comments come as an Australian law firm last week pioneered a potential new funding avenue for solicitors when it became the first to float its shares on the stock market. In England and Wales, the Clementi report has looked at how best to reform the legal services market - including the way in which law firms raise capital. Its findings are due to be enacted through the Legal Services Bill in December 2007. The reforms will benefit larger England-based law firms by enabling them to raise external capital to fund their expansion or systems development, as well as making it possible for their partners to benefit financially from the goodwill wrapped up in their businesses. However, the reforms were not on the agenda in Scotland until the SNP's recent election victory. While "Tesco Law" - the part of the Clementi package which allows businesses such as banks, supermarkets and insurers to have lawyers on their payrolls and provide commoditised legal services to their customers - is not on the agenda in Scotland, MacAskill said he does not believe Scottish-based firms which may require capital to fund expansion should be discriminated against. MacAskill was speaking following the flotation of the Australian law firm Slater & Gordon, which made history last week by becoming the first law firm anywhere to list its shares on a stock market. Taking advantage of changes to Australian legislation, the class action specialist listed on the Australian Stock Exchange on May 21. Its shares surged by 40% on day one, valuing the firm at A$150m (£62m). It is a move that could offer a template for UK firms seeking to raise much-needed capital. Accountant Deloitte said Slater & Gordon's initial public offering is likely to trigger many more. Jeremy Black, a director in Deloitte's professional practices group, predicts that several mid-tier law firms in the UK will seek to float on the Alternative Investment Market. He said: "If you look for precedents, we have seen accountants, management consultants, patent attorneys, architects and chartered surveyors float. I see no reason why law firms are so different from these organisations. AIM is the more likely market, as a firm would need a market capitalisation of around £200m to list on the full market." However, Black warned that Scottish firms look likely to lose out, despite MacAskill's remarks. He said: "It sounds to me that law firms in Scotland are going to be denied that choice, which could to some extent be considered a disadvantage." Black admitted that the Clementi reforms represent a real threat to "high-volume, low-value lawyers" such as small high-street operators and sole practitioners. He says this is because supermarkets such as Tesco, banks such as HBOS, and insurers such as Aviva/Norwich Union are likely to eat into their territory, winning clients on the strength of their brands. He said: "There is likely to be significant consolidation and aggressive competition from well-known brands. We expect to see the number of sole practices and small partnerships currently in existence decrease significantly. The UK high-street legal market will change beyond recognition." However, he believes that the Clementi reforms will also present opportunities for "low-volume, high-value lawyers" including the mid-tier firms such as McGrigors and Dundas & Wilson and Magic Circle firms such as Freshfields and Linklaters. However, even here, the availability of external capital could also pose a threat. He said: "Individual teams may be encouraged to break away and form their own company with the backing of an external investor." Alistair Morris, chief executive of Pagan Osborne, accused MacAskill of "protectionism" in his desire to buck the market over Tesco law. He said: "The horse has already bolted on Tesco law. 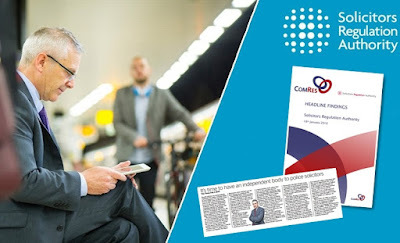 Commoditisation is already happening, with organisations including Halifax offering legal panels for conveyancing work, to whom they dictate very tight terms. "The future is already looking very bleak for the traditional high-street solicitor. Whether alternative business structures happen or not, the commoditisation of certain types of legal services is already under way." Morris believes that MacAskill ought to go further and usher in the full suite of Clementi-style reforms, which he believes would revolutionise the legal profession for the better. "The law remains a cottage industry with an anachronistic culture, and it is ripe for consolidation. If law firms were permitted to raise equity from external investors, it would hasten that process." In what has been a great injustice against patients who became infected with hepatitis and HIV, due to negligence & secret experimentation on those victims by Doctors who deliberately withheld informing patients of their predicament, the new Scottish Executive has agreed to hold an inquiry into the blood infection scandal. It's a pity that Scotland has had to wait for a change in the Executive and also the start of the Inquiry in England on UK wide blood infections - organised and paid for by the families of victims of this scandal ... what a terrible injustice indeed, further compounded by both the Westminster & Scottish Governments refusing to do anything for so long, leaving it to the victims and their families to come forward with an Inquiry. 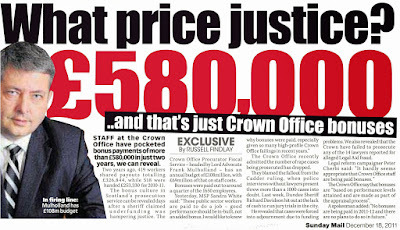 Is this the stuff of justice and transparency we should expect from Government ? I hope not. 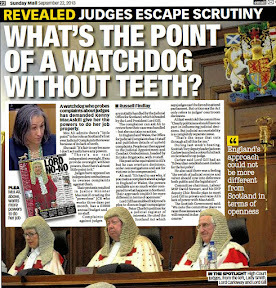 I hope the Inquiry also looks at why the last two Scottish Executives from 1999, and the Scottish Office Ministers before them, spent the previous 25 years dodging, prevaricating, and either helping or turning a blind eye to the destruction of evidence by some of those concerned in the scandal, including local Health Trusts and NHS Departments. We shouldn't be having any more of that kind of conduct please, and since the SNP have been shouting about these kinds of injustices for all these years, its time to take responsibility for the past, rather than prolong the suffering of these innocent victims of a most heinous medical malpractice crime. 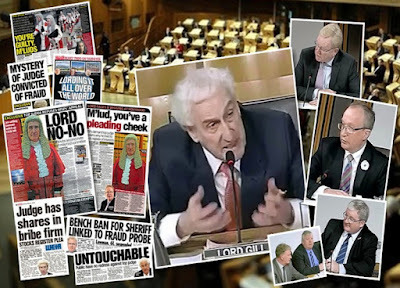 I hope the Scottish inquiry will deal with the issues properly, without restriction and without giving those in the professions undeserved immunity which we have seen many times in inquiries in Scotland in the past. The victims of this terrible injustice must be given their right to be heard plainly, in public, to find out exactly what happened, who was responsible, why it happened, and of course, properly compensate those who have suffered in this disgraceful scandal, and ensure this doesn't happen again. THE Scottish Executive has agreed to hold a public inquiry into how patients were given blood product contaminated with fatal viruses and kept in the dark about their illnesses. The SNP administration said a public inquiry was "the best way forward" to get to the bottom of how Scottish patients became infected with hepatitis and HIV. 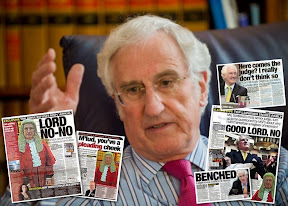 An independent inquiry is being held in England by Lord Archer of Sandwell, a former solicitor-general, but it has no power to subpoena witnesses and its findings will not be binding on ministers or the NHS. Last night, a spokesman for the Holyrood government confirmed to The Scotsman that it would back a public inquiry with legal status, which would look at practices of doctors in Scotland. The decision comes after 25 years of campaigning by victims. A spokesman said: "The Scottish government believes in a more accountable health service and a public inquiry in Scotland to find out why people were infected with hepatitis through NHS treatment is the best way forward. Clearly, we will wish to assess the findings of the Archer inquiry before deciding exactly when and how to proceed." One of the most tireless campaigners for an inquiry has been Robert Mackie, 57, who with his wife Alice has painstakingly gathered evidence about what doctors knew of the risks of HIV and hepatitis for haemophilia patients. The Executive's decision comes after Mr Mackie's evidence to an independent inquiry in London was highlighted in yesterday's Scotsman. Thousands of people with haemophilia and many others who had one-off blood transfusions were infected with HIV and hepatitis C from batches of contaminated blood in the 1970s and 1980s. Mr Mackie was a haemophilia patient at the Edinburgh Royal Infirmary (ERI) when he contracted HIV in 1984 from an infected batch of the Factor VIII treatment. He told the Archer inquiry that the director of the haemophilia centre at the ERI, Dr Robert Ludlam, did not tell him about his condition or that he had been used for research for three years. Successive calls for an inquiry in Scotland since the Holyrood parliament opened in 1999 were dismissed by previous administrations. "This is very good news. It's some time overdue. The evidence that's available now about what doctors and ministers knew is not in question. We hope the remit of the inquiry will fully answer our questions and ensure this never happens again." Philip Dolan, chairman of the Scottish Haemophilia Forum, said what campaigners wanted was an explanation rather than scalps of doctors or ministers. "We need to try and get answers to why this happened and try and get some sort of closure to avoid this happening in the future," he said. "Too many people I knew died before they should have." He welcomed the Executive's decision, however: "At least the new Executive has given recognition to the plight of these people who have been infected." Bruce Norval, of Fortrose, near Inverness, who contracted hepatitis C when being treated for haemophilia, said it made sense for the Executive to wait for the Archer inquiry. He continued: "I want to see haematologists have the courage to stand up and answer the questions that we have been asking them for 25 years." In April last year, the Scottish Parliament's health committee voted in favour of a public inquiry. But in June, Andy Kerr, then health minister, dismissed the call. 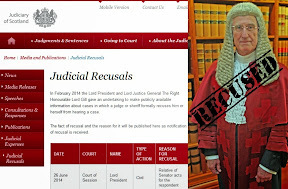 He continued to refuse the call for an inquiry in February this year after Lord Archer's inquiry was announced, saying there would be "no further practical lessons" to be learned from an inquiry set up by the government. 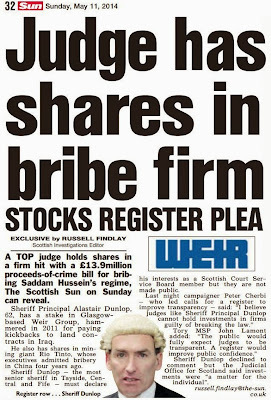 Attempts to bring criminal charges were dismissed by the Crown Office and Procurator Fiscal Service in 2004. Scotland's high incidence of hepatitis C means the risks historically have been higher. For three decades up to the 1980s, blood donations were taken from Scottish prisoners, regarded as a high-risk group. And it took two years longer for Scotland to apply heat treatment to blood products than in the rest of the UK. 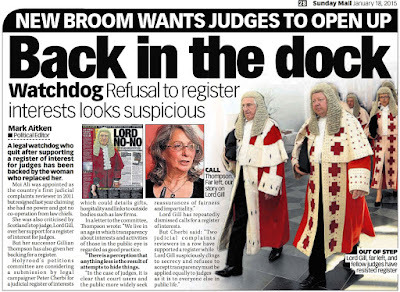 Families are also awaiting the outcome of a court case into whether the Lord Advocate and health minister acted lawfully in dismissing previous calls for a public inquiry. The timescale of the Scottish inquiry is not known, but its remit will depend partly on the findings of the Archer inquiry, which will last another three months. Frank Maguire, a solicitor advocate and senior partner at Thompsons Solicitors, who represents some of the victims and their relatives spearheading the court action, said: "The victims and their families will be so happy. We have had at least 660 deaths in the NHS as a result of this. It begs the question: why did ministers block all earlier attempts for an inquiry?" PATIENTS of a leading haemophilia consultant were used for early research into HIV and AIDS without being told they had the condition, it was claimed yesterday. The UK's first independent inquiry into how blood product contaminated with HIV and hepatitis was given to haemophiliacs heard patients had been used for years in a study without knowing about the research or that they even had HIV. Robert Mackie, a haemophiliac, said he contracted HIV in 1984 but was not told of his condition by his consultant, Professor Christopher Ludlam, until 1987. The 57-year-old said he and others had been used as part of an experiment and exposed to a virulent strain of HIV. He accused the consultants involved of "murder" in an emotional evidence session before Lord Archer of Sandwell. He said: "In the Spring of 1983 they took the decision not to inform them of their HIV status, but to keep an eye on their wives and spouses to see if they became infected. I find that murder of the first degree. "I believe non-consensual research was conducted by doctors of haemophilia in this country. We were all used as lab rats. There is no other way I can put it - we were all just guinea pigs," he said. In evidence, some of which was read by his wife, Alice, when he became too weak, Mr Mackie said 16 haemophiliacs had become infected from one batch of blood and Prof Ludlam failed to inform patients of the risk. "Two uncles, one cousin and many haemophiliac friends have all died from AIDS from this one infected batch at a time when their infection could have and should have been avoided," he said. Now his wife had to watch him suffer the same fate, he said. Mr Mackie said a series of articles for medical journals and research papers showed how Prof Ludlam, professor of haematology and coagulation medicine, had used the Edinburgh group for research into AIDS, which was only beginning to come into the public spotlight in the early 1980s. He and other patients were part of a study from March 1983, but he claimed they were tested for up to 15 years before being informed. Citing research papers, he said it was "totally outrageous" a doctor could carry out non-consensual research on patients and not be held to account. He went on: "His research also showed that his Edinburgh haemophilia cohort were infected with an unusually virulent strain of HIV - perhaps this is also a reason why we were kept in the dark about the events which were taking place at the Royal Infirmary of Edinburgh from March 1983." He said an exchange between his consultant and an American doctor "appears to suggest my consultant was fully aware of the value to scientific endeavour of his Edinburgh patients and that I, along with others, were of value to him". The patients had been given a batch of infected Factor VIII blood product. He had continually asked if there were any risks from Factor VIII but was told there was nothing to worry about. In 1987, he was told he had been infected with HIV for nearly four years, a delay that he said "put my young wife, family and friends at risk". "We have since discovered that my consultant was indeed aware of the risk to haemophiliacs from AIDS from early 1983 and had he informed me of the risks, my infection would have been avoided as I would have refused any kind of blood or blood product treatment." Mr Mackie said a letter from Prof Ludlam showed he appeared to be "offering up" him and other Royal Infirmary patients as a candidate group for research. Dr Robert Gordon, of the National Institute of Health, had put out an appeal in the Lancet medical journal in 1983, calling for "similarly treated haemophiliacs in a geographical area to which AIDS has not yet been introduced". It went on: "The resolution of this question by a timely investigation in some country where cases of AIDS have not yet been reported would be an immense help to public health workers worldwide." In a medical newsletter in 1990, Prof Ludlam described a unique group of patients in Scotland that had formed the basis of several years of important research he had published on AIDS. Prof Ludlam could not be reached for comment last night. NHS Lothian said it did not want to comment. Bruce Norval, from Fortrose, who was diagnosed with hepatitis C in 1990, also gave evidence. 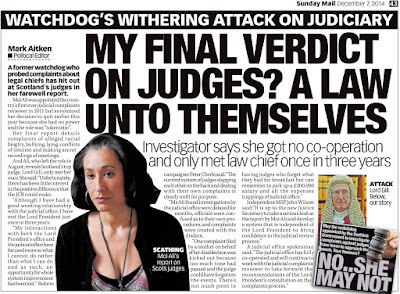 He told The Scotsman: "I have campaigned on this issue for years and I now just want a final response so I can get on with what is left of my life." ABOUT 4,500 haemophilia patients were thought to be infected with contaminated blood 20 years ago. So far, almost 2,000 haemophiliacs exposed to fatal viruses in contaminated blood or blood products have died and many more are terminally ill.
After years of campaigning, the victims and their relatives have been given the chance to hold an independent inquiry. The hearings began last month amid claims on the BBC's Newsnight programme that Britain's doctors ignored warnings about using haemophiliacs for testing new blood products. Successive UK governments have refused to conduct a public inquiry in to the events. 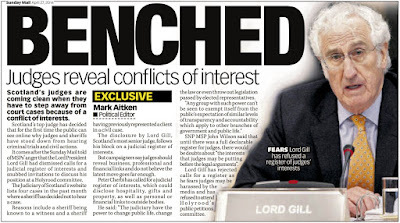 The privately funded inquiry is being chaired by Lord Archer of Sandwell, a former solicitor-general, and has heavyweight backing. The Haemophilia Society is now calling for the government to make available to the inquiry documents that cover HIV infection since 1985. Haemophilia is a disorder, usually inherited, in which the blood does not clot properly due to low levels of clotting factors. People with the condition bruise easily and can have spontaneous internal bleeding. In the 1970s, a new method of producing clotting factors was discovered, for which plasma donations from thousands of donors were pulled together. If any of the sources had a blood-borne virus, the whole batch would be contaminated. Some blood products during this time came from American suppliers who paid what were revealed as prisoners or "skid row" donors for their blood - people more likely to be infected with HIV and hepatitis C, according to the Haemophilia Society. More evidence suggests UK health advisors ignored warnings which could have prevented haemophilia patients being given contaminated blood. The Guardian newspaper points to minutes of a Committee on Safety of Medicines meeting held on July 13 1983. The minutes document that the CSM knew patients who repeatedly receive blood products appeared to be at risk, but ruled against a ban. In April, BBC's Newsnight programme reported similar evidence from 1983. Newsnight obtained a letter from the head of Britain's public health surveillance centre warning the Department of Health about the risk of Aids from the blood clotting product Factor 8, after Britain's first case in Cardiff, and calling for all US imports to be banned. In the 1970s and 1980s, 4,500 UK haemophilia patients were exposed to lethal viruses in blood products. Two thousand have since died of either Hepatitis C or HIV. It is generally accepted that many people with haemophilia became infected from supplies of the clotting agent Factor 8 from abroad. Unbeknown to them at the time, much of the plasma used to make Factor 8 came from donors like prison inmates in the US. These prisoners were allowed to sell their blood even though there were questions over their health. Successive governments have said politicians, civil servants and doctors simply did not know enough about the dangers of Factor 8 concentrates to stop using them in time. But the CSM minutes obtained by The Guardian reveal: "The possibility was considered of withdrawing US preparations from the UK. "It was concluded that it is not at present feasible on grounds of supply. "Moreover, the perceived level of risk does not at present justify serious consideration of such a solution." Dr Joseph Smith (now Sir Joseph), who had chaired the CSM meeting in 1983, said it was a "great tragedy" that people contracted blood-borne diseases from contaminated materials but said the committee's conclusions were based on the best available evidence at the time. A spokesman for the Department of Health added: "We have great sympathy for those who were infected with Hepatitis C and HIV and understand why they want to know how it happened and why it could not have been prevented. A private inquiry, organised by families affected by HIV-contaminated blood, is ongoing. From responses to my last article reporting on the appointment of a former Law Society President to the Institute of Chartered Accountants of Scotland Complaints Committee in a 'public interest' role it seems those people whom the professions and public services select in a "lay membership role" go on to make a living out of it, appearing on many other Committees of other professions in similar positions. Generally this has been known about for some time .. the same faces appearing on different 'regulatory panels' or public bodies, or quangos .. but surely, now with a new Executive led by a party which has been shouting about this kind of cronyism for so long, these issues must be looked at ? I think so. I was quite interested last week to learn of the various positions of Barbara Duffner, who is one of the "Public Interest Members" of ICAS, there to ensure, allegedly, that complaints are handled properly and without bias towards the public. 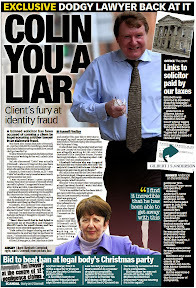 My own experiences with ICAS of course, differ greatly from the way the Scottish accountants regulatory claim they handle complaints ... and I have commented before on my experiences with ICAS regarding one of Scotland's most famous crooked accountants - Norman Howitt, CA of Welch & Co, Chartered Accountants Hawick & Galashiels. My experiences with ICAS predate Mrs Duffner's appointment to their Committee framework, but if I were asked if her input into my complaint against Norman Howitt may make a difference, I would say no, because no matter what anyone may say about Norman Howitt, despite how he stole my mothers bank & pension books, tried to con her out of all her savings for himself, ICAS would overrule them and make sure Mr Howitt kept his job. Not casting any aspersions of course, on how Mrs Duffner goes about her businesses, but was the position of a "Lay Member" ever intended to give rise to one person repeating their position in so many other instances ? Barbara Duffner was elected as a Lay Member to Council in 2004 with the principal role of ensuring that the public interest is properly safeguarded. Barbara worked with Royal Mail from 1969 until her retirement in 2004, latterly as Head of Personnel. She was involved with the Children’s Hospice Association of Scotland from the early 1990s until 2006. She is also currently a Board Member of the Judicial Appointments Board, Scottish Enterprise, the Student Loan Company and she is a Member of the Fitness to Practice Panel of the General Dental Council, the Welfare to Work Task Force and Employment Tribunals. Barbara was appointed as a Lay member to the Court of the University of Glasgow in 2006. Previous appointments have included work with the Qualifications and Curriculum Authority and Chairmanship of the review of the Careers Service in Scotland. Barbara lives in Lanarkshire and her interests include developing 6 acres of land which she recently acquired and adjusting with enthusiasm to a portfolio career. Barbara Duffner took early retirement from Royal Mail at the end of March 2004. She had been with Royal Mail since leaving university in 1969. Although she worked primarily within Human Resources, she also had experience of line management, strategic planning and management of very large projects. In 2001 she chaired a review of the Careers Service in Scotland, this led to substantial changes and the creation of 'Careers Scotland'. Barbara is Fellow of the Royal Society of Arts; a Board Member of Scottish Enterprise; a member of the Judicial Appointments Board in Scotland; and a lay member of the Council of the Institute of Chartered Accountants of Scotland. She is also a non-executive director of the Student Loans Company and an Employment tribunal member. In 2006 she was appointed to the Court of the University of Glasgow as a lay member. Barbara Duffner was Head of Personnel North for Royal Mail until she took early retirement at the end of March 2004. 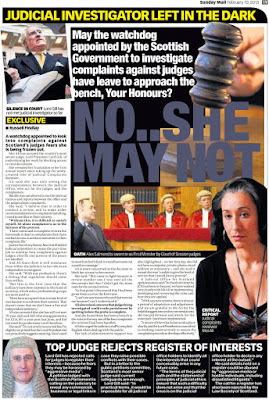 She is a Board Member of the Student Loan Company, a member of the Judicial Appointments Board Scotland and sits on the Fitness to Practice Panel of the General Dental Council. She is a public interest member of the Council of the Institute of Chartered Accountants Scotland and has joined the Court of the University of Glasgow. Barbara is also an Employment Tribunal member. She was a member of the Welfare to Work task Force and chaired the review of the Careers Service in Scotland which led to the creation of Careers Scotland and the transfer of responsibility for ensuring the provision of all age guidance to Scottish Enterprise and Highland and Island Enterprise. Barbara was awarded the OBE in the 2002 New Years Honours list. The above seems to be quite common for many of these lay members of regulatory committees, public body positions, and quangos ... but why on earth is it allowed in such a cramped world, when inevitably complaints, personalities and issues will cross over from profession to profession, invoking serious conflicts of interest, which I have observed definitely at ICAS and the Law Society of Scotland. 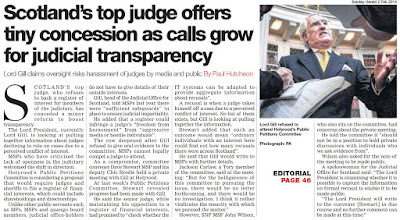 Regardless of the capabilities of a person, it is surely time to call for restrictions on the amount of Committee positions someone can carry as a "Lay Member" or "Public Interest Member", as it is simply not in the public interest to allow this to go on any longer. So how do the lay members perform on Committees you may ask ? Well, from my own experience - not very well. 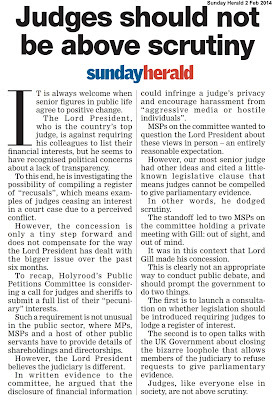 The lay members of the Law Society of Scotland's Complaints Committees, are to put it mildly, very weak. 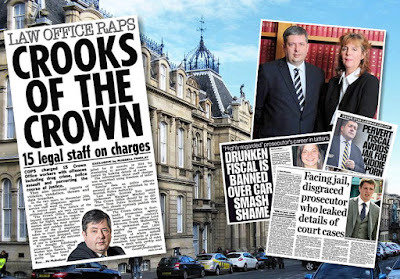 Taking my own direct experience of the lay members on the complaints I made to the Law Society of Scotland over the years, I would call them a bunch of quislings, who are too enamored with their lawyer friends who sit at the end of the table to be of any value to the public at all. 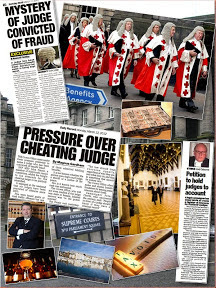 Indeed, the lay membership of the Law Society Complaints Committees have shown themselves to be so ineffective, so useless, so willing to go along with fiddling complaints against crooked lawyers, that the Scottish Parliament had to pass the Legal Profession & Legal Aid (Scotland) Act 2007 to reform regulation of the legal profession in Scotland because it is so corrupt. When it came to the lay members of ICAS looking into my complaint against crooked accountant Norman Howitt, I found the lay members generally had no grasp of the situation and how Mr Howitt had went about covering up his actions. Worse, was that both lay members, one a former Captain of HMS Ark Royal, had completely missed Norman Howitt's attempt to cover his tracks of embezzling money in his firm's account by filing false information with Lothian & Borders Police. I wonder why lay members would miss such a thing ? unless they were told to perhaps ? 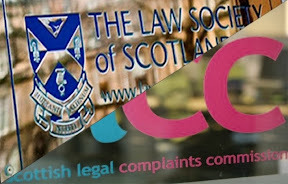 Now of course, we have the addition of two lawyers to the ICAS Complaints Committee framework - and from the past performance of the Law Society of Scotland, I don't think we can expect any great change to how the accountants fiddle complaints against their members ... possibly with more lawyers on board, the situation will get worse ? Some would argue, of course, that having the same people as lay members on different regulatory committees in different professions, brings an air of experience in dealing with complaints and would ensure a greater respect by those committees for fairness & transparency. 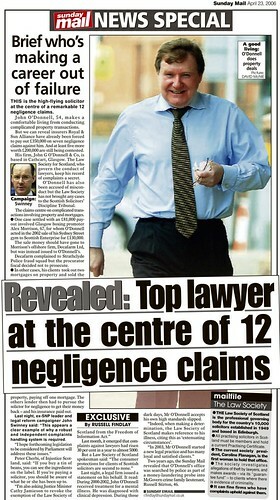 It has been revealed that ICAS, the Institute of Chartered Accountants of Scotland, the self regulatory body for accountants, which handles complaints against it's own members in true traditional old fashioned corrupt 'cover up for the boys old pals act style', has appointed two lawyers, one an ex Law Society President, to "ensure that the institute continues to operate with integrity and transparency". Ruthven Gemmell one of the new "Public Interest members" of ICAS, has been the President of the Law Society of Scotland for the past year - a turbulent period in the history of the Scottish legal profession, which saw the Justice 2 Committee hearings on the Legal Profession & Legal Aid (Scotland) Act 2007, where members of the public who had fallen victim to many crooked members of the legal profession, and the corrupt regulatory practices of the Law Society of Scotland, finally got the chance to testify in public to their appalling experiences. 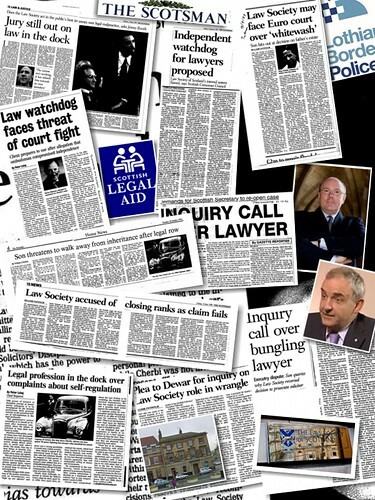 The Law Society of Scotland's answer to the Justice 2 Committee hearings into the LPLA Bill, were a mixture of lies, blatant propaganda, secret meetings, and a badly organised attempt to get it's member legal firms to submit a range of different experiences (which fell apart because most of the legal firms forgot to alter the circulated template significantly enough to make it unrecognisable as a copy ). When it became apparent to the legal profession their tactics to thwart the progress of the LPLA Bill were simply not working, Douglas Mill himself threatened the Scottish Executive & Parliament over the passage of the LPLA Bill - stating the Law Society of Scotland would take legal action against both the Executive and Parliament if the LPLA Bill was passed without amendments it preferred, and as I understand matters, this 'threat of court action' had been discussed as a policy statement by the Law Society - which of course, must have been supported by the the Law Society President, Ruthven Gemmel. You may also remember the legal aid case boycott, restriction of the public's access to legal representation & access to a lawyer, and the many other scandals scandals involving the Scottish legal profession we've had in the past year of Ruthven Gemmel's tenure as Law Society President, which didn't see him or anyone else in the Law Society do anything to resolve many instances of injustice caused by themselves. You may ask, how effective is the Institute of Chartered Accountants in dealing with complaints against it's members in Scotland ? The answer to that question is that ICAS are possibly even more corrupt in regulating complaints against accountants, than the Law Society of Scotland is at covering up complaints against solicitors. 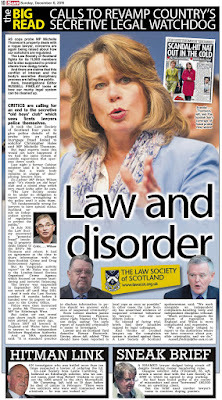 So how does the conduct of the Law Society of Scotland over the past year square up then ? Horrible, corrupt, anti consumer, hateful, hostile are but some of the words which come to mind. So, taking the above, and not forgetting the Law Society's, Court Action threat to our elected Scottish Parliament and Executive against passing long awaited reforms to the way complaints against lawyers are handled, would it not be right to question why lawyers, rather than someone more devolved from the professions, are now drafted in by the Institute of Chartered Accountants - to give an impression that all is well with complaints against accountants ? Surely, when a Law Society President obviously supported his profession's policy to threaten our elected Government & Parliament on an issue of solicitors losing the right to continue fiddling complaints against their own colleagues .. this couldn't be classified as anything approaching "integrity and transparency", could it ? 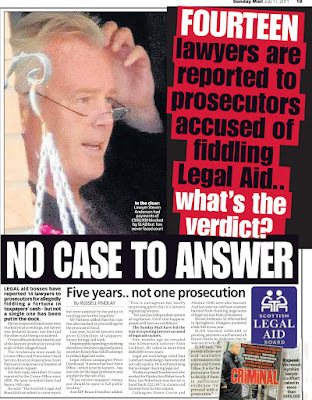 The LPLA Bill (now thankfully passed, with many of the legal profession's preferred amendments voted down) brought a measure of independent regulation to Scotland's 10,000 lawyers - taking away part of the aspect of the widely abused practice of self regulation by the Law Society of Scotland where lawyer invariably covers up for lawyer. Perhaps however, this Public Relations incident gone wrong, where ICAS protests it's alleged commitment to 'transparency & integrity' in the newspapers, shows the infamous Scottish accountants regulator in it's true light, which is that of yet another self regulator of it's own profession, which widely abuses that self given right to consider & fiddle complaints against their own member accountants displaying many of the same problems which the legal profession in Scotland has been famed for over the decades, and which for their corruption, brought about the passing of the LPLA Bill to try and remedy endemic prejudice in the area of complaints against solicitors. Since self regulation of accountants is a Westminster issue for now, London should look at ending self regulation by accountants over accountants .. there isn't a good transparent example of self regulation in existence .. and ICAS, from what I know, and have personally experienced, cannot hold itself up to be anything other than a closed shop cover up club for its members .. 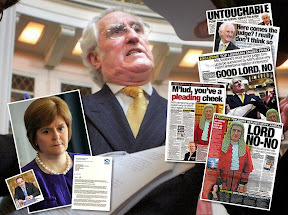 However, as we have a new SNP Executive, who are set on looking into as many issues as possible which affect Scotland I hope, perhaps they would like to take on the might of the accountants self regulatory body, and end what is a very corrupt & crooked system of complaints cover up, mirroring what we've all seen in the legal profession for years. We certainly need an LPLA Act style equivalent for the accountancy profession in Scotland ... and an end to self regulation in the other professions which still enjoy judging their own colleagues at the expense of clients - something which is definitely NOT in the public interest. Niall Scott and Ruthven Gemmell have been appointed to serve as public interest members at the Institute of Chartered Accountants of Scotland. Public interest members are appointed to ensure that the institute continues to operate with integrity and transparency. 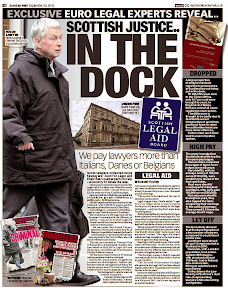 Both solicitors, Scott is the former chairman of UK law firms McGrigors and KLegal. Gemmell will step down as president of the Law Society of Scotland on May 25. They will join the institute's other public interest member, Barbara Duffner, who was re-appointed for a period of three years at the recent annual meeting. While the new SNP Executive begins it's business, attention briefly turns again this week to local government in Scotland - which seems to be still full of sleaze & controversy, as the now former Chief Executive of East Lothian Council quit after astonishingly comparing his treatment to that of the Virginia Tech killer who murdered 32 people on April 17. I cannot but help wonder, like the rest of you, what on earth John Lindsay could mean by comparing his behaviour to this horrific incident. Surely he isn't trying to justify what happened at Virginia Tech as a comparison to questions raised over his £130,000 redundancy payoff after he himself recommended to Councillors his Department be closed ... recommendations which were supported by legal advice from the Council's own legal team ...but are now allegedly 'under investigation' by the new LibDem/SNP coalition which took control from the former Labour Council. 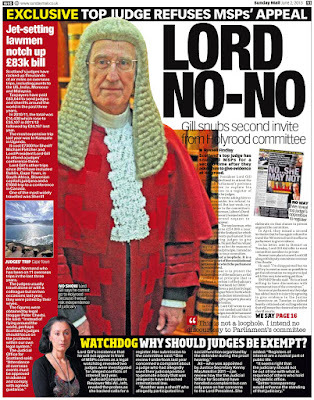 The whole saga began when the Scotsman revealed in February that Mr Lindsay's recommendations to close his own department & make him redundant, would give him a £130,000 redundancy package on top of a pension of £55,000 a year and a lump-sum payment of £155,000 that he was entitled to when he retired. 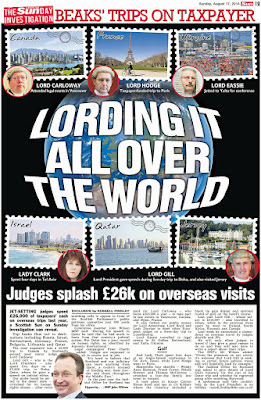 What a great pay off indeed - and no wonder the newspapers caught onto it ! A particularly nice touch to the story came in the Friday edition of the Scotsman newspaper, where a letter appeared from Mr Lindsay's family to their local newspaper, complaining about the publicity & treatment of Mr Lindsay .. a copy of this letter appears in the Scotsman article quoted below. I wasn't too surprised to see a letter from the family in such terms (although I was surprised to see it in a newspaper, rather than being submitted to the Council itself) .. maybe worth someone checking to see if the Council got the same kind of letter too. This has been a tactic of professionals for years when they are caught out in an inquiry, investigation, or complaint against their activities ... where excuses for large orchestrated frauds can range from mental problems to stress to tripping over a pavement. 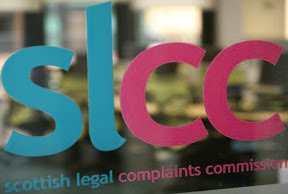 Lawyers, for instance, constantly use representations from their families, or pleas regarding their families to Complaints Committees at the Law Society of Scotland, when they are caught by a client complaint. These letters usually bring in the lawyers wife, children (who have to be educated at private schools), large house, upkeep on the second home, four cars, 3 holidays a year, and even the cat & dog's greater right to life & existence over a client or member of the public .. and of course, every lawyer's argument they shouldn't face being drummed out of the legal profession just because a client caught them stealing money or overcharging for work, or lying about work & faking files, or stealing a clients home ... all of those things should be wiped clean, simply because of the lawyer's long studies at university, which their colleagues maintain make them immune from obeying the rules and obeying the law - after all, they are lawyers, and their Law Society of Scotland should let them off the hook - which they usually do ! 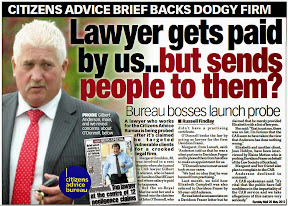 If that isn't enough, crooked lawyers also have Law Care to turn to - an organisation run by another crooked lawyer, James Ness - whom I remember well as being the same crooked lawyer who got Scotlands Most Famous Crooked Lawyer - Andrew Penman of Stormonth Darling Solicitors, Kelso , off the hook, with a similar letter regarding Penman's family's right to depend on their crooked breadwinner Andrew Penman going on to ruin even more clients - which he did ! Turning back now to the new Scottish Executive, I hope our new First Minister Alex Salmond is going to be attentive to the issues of Justice & Injustice - issues he, and the rest of his team know full well, have been ongoing for far too long. 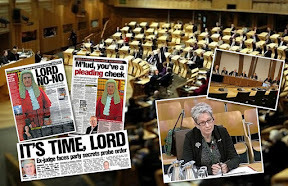 Without quoting names or cases, there is on average of well over 1000 individual representations a year from members of the public and their elected MSPs and mps, to the Scottish Executive Justice Department over problems with lawyers, the Law Society, Advocates, the Courts, the Judiciary .. That has been going on for years - at least since 1994 when I found out about it and probably before then. The stacks of correspondence are immense and if someone were to browse the actual letters sent by politicians on behalf of constituents they might wonder why on earth the same kinds of letters were coming from the same politicians (from ALL parties, including the SNP) on behalf of different constituents over the same problems, week in week out, year in year out ... and the replies usually range from - see a lawyer to we can't do anything about it because the relevant professional body is mandated in law to regulate its members - those replies come from civil servants right up to ministerial level. The SNP need to address this problem of "self regulation" which exists not only for lawyers, but also accountants, the Police, Courts Service, etc .. and end it ..and it shouldn't take another 13 years of considering the facts - because the politicians all know full well what's been going on for all these years. 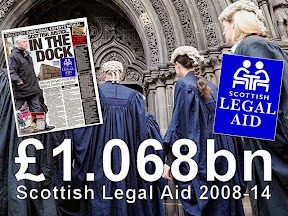 Time now for some action on the part of the SNP, after all, it took a Labour administration to actually have the guts to pass the Legal Profession & Legal Aid (Scotland) Act in the first place .. now the SNP should go one better and fully implement independent transparent regulation for the legal profession, judiciary & the rest, and also, deal with the past victims of these professions, giving them a measure of justice which has been denied for all these years. Alex Salmond wants to improve Scotland, and I support him for that - so let's get Justice & Injustice to the top of the agenda and clean up the legal system, make it honest again, and fix the problems of the past. A SENIOR council official criticised for accepting a six-figure redundancy payment months before he could have retired has compared his treatment to that of the Virginia Tech killer Cho Seung-Hui. In an interview with his local newspaper, John Lindsay, 59, said the "maniac who ran amok at that college in America, murdering 33 people, never got treated like I did". His comments, described by opposition politicians as "particularly tasteless", come as Mr Lindsay, the chief executive of East Lothian Council, faces an investigation by the public-spending watchdog over the decision to engineer his own redundancy after 40 years at the authority. 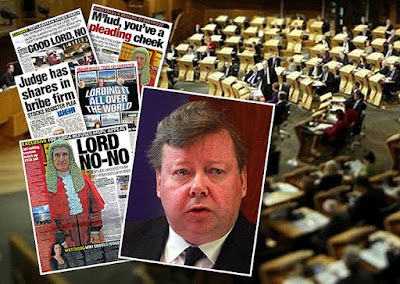 The move - revealed by The Scotsman in February - will give him a £130,000 redundancy package on top of a pension of £55,000 a year and a lump-sum payment of £155,000 that he was entitled to when he retired. 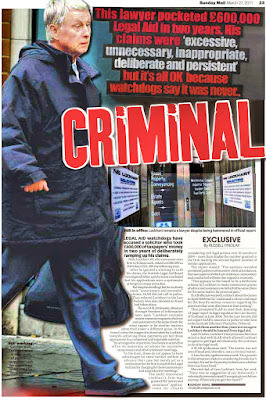 The revelations have plunged the council into chaos and put Mr Lindsay's conduct under the microscope. The new SNP-Lib Dem administration has ordered an inquiry into the payment. The incoming administration has been accused in a letter from Mr Lindsay's wife and children of being part of the "systematic grinding down" of the official. Meanwhile, the authority issued a statement formally distancing itself from Mr Lindsay, and appeared to reject his bid to withdraw his early retirement and remain in position. But yesterday, the council's choice as his replacement told The Scotsman he would not want the post if Mr Lindsay opted to stay. The council's statement said: "The comments attributed to John Lindsay, in which he states he wishes to remain in his post rather than take a redundancy package, were made by him in a personal capacity and do not reflect the opinion of East Lothian Council on these matters". The drama intensified yesterday when Mr Lindsay broke his silence in an interview with the East Lothian Courier. He said: "My reputation's been trashed in some sections of the press and I am not retiring under a cloud. "That maniac who ran amok at that college in America, murdering 33 people, never got treated like I did. "I can't retire under these circumstances, so I am no longer volunteering to be made redundant and will carry on working." He went on: "I was put into a redundancy situation as a result of a restructure which everyone agreed was a good idea - reducing bureaucracy, improving efficiency, making savings of £435,000 in four-and-a-half years - and I volunteered, never expecting to be treated in such a manner. "Friends and colleagues in the private sector must look on in amazement at such goings on in local government, since making savings and improving efficiency is what business is all about. This was a good piece of business for East Lothian Council and followed the government's efficiency agenda." In a separate move, Mr Lindsay's wife, Laura, and his four children sent a letter to the newspaper saying he had been the target of "small-minded individuals both in the surrounding community and within the walls of the council offices". It said the "vitriol and hostility displayed to John does not reflect well on his new employers in East Lothian Council". Margo MacDonald, the independent Lothians MSP, advised Mr Lindsay to make no more public statements on the affair. She said: "He should go and find a darkened room and have a quiet lie down. He's in a hole and should stop digging." A Conservative spokesman said of the Virginia Tech comparison: "This is a particularly tasteless remark, and one we hope he now regrets making." Alex McCrorie, the council's finance director and the man due to be Mr Lindsay's replacement, has said he does not think he will now be chief executive. Phillip Hodson, a psychologist and a fellow of the British Association of Counsellors and Psychotherapists, said Mr Lindsay's reference to Virginia Tech was probably made under extreme stress. He said: "The remark is extraordinary and would suggest that the provocation he has been under has been intense. "I am sure he will feel differently about his remarks when he sees them in black and white in the papers. I expect we will be hearing an apology soon." Last night David Berry, the new SNP leader, said the council would be taking legal advice on whether Mr Lindsay could withdraw his resignation. He added: "It's fine for other politicians to comment that this is inappropriate. John is very emotional about this, because he believed his reputation is at stake. "I'm not going to comment on whether it was inappropriate. I'm trying to deal with the substantive part of this problem, not the emotional part." THE controversy arose when Mr Lindsay, who is 59 and could have retired with a pension of more than £50,000 a year and a lump sum of more than £150,000, recommended to the council that he be made redundant. Getting rid of the post of "chief executive/director of the department of the chief executive" would cut the number of senior council officials from five to four, he told councillors. However, that decision meant Mr Lindsay would qualify for a redundancy payment of around £130,000 on top of the pension and lump sum to which he was entitled after 40 years of service. The decision was defended by the then-Labour council, which claimed it would save £400,000 over four years. The position changed after the May elections when Labour lost to an SNP/Lib Dem coalition. On Tuesday, the new administration agreed to investigate the payment to Mr Lindsay. Later that day, Mr Lindsay said he was "no longer volunteering" for redundancy. IT COSTS a few pence but the price of a phone call to congratulate Scotland's new First Minister was too high for the next Prime Minister to bear. Gordon Brown has not picked up the phone to call Alex Salmond, the First Minister, whom he believes is hell-bent on destroying the United Kingdom, the political stewardship of which Mr Brown is weeks away from inheriting. Two Scotsmen, both forceful, driven men in their fifties, yesterday achieved their lifelong ambitions, finally clinching the jobs they have dreamt of through years of uncertainty and doubt. But reaching their goals was just about the only thing that Mr Brown and Mr Salmond had in common. In London, ten years after first entering government, Mr Brown secured the Labour leadership and the keys to 10 Downing Street. And in Edinburgh, two weeks after his knife-edge election win, Mr Salmond was sworn in as First Minister, soon to reside in Bute House. During those two weeks, there has been no direct communication between Mr Brown and Mr Salmond, no collegiate phone call between two men who have known each other well for more than two decades. Douglas Alexander, the Scottish Secretary of State and even the Rev Ian Paisley, the new First Minister of Northern Ireland and arch-protector of the union, have been in touch with Mr Salmond to exchange niceties. But between Westminster and Holyrood, the union is already showing its fractures. Mr Brown has been keen to resist associating himself with the aftermath of the Scottish elections. Even the venues Mr Brown and Mr Salmond chose on what was effectively their first day in office, unofficially and officially respectively - demonstrated their divergent political agendas and priorities. For Mr Salmond, the day started with an oath-swearing ceremony in a packed courtroom. Back at the Scottish Parliament, a Cabinet was sworn in, then followed a jubilant photo-call outside Bute House. During his first formal official engagement on a visit to the Longannet power station, Mr Salmond said: "I look forward to speaking to Gordon and as soon as he is officially in office I'm sure he'll give me a ring and we'll set up a meeting and we'll hopefully work constructively for the future of Scotland. "The things that were said by Gordon during the election campaign - lots of things are said in the heat of battle. "Now that the dust is settling I'm quite sure that Gordon, like me, puts the Scottish interest among our paramount concerns and that we will work together in the Scottish interest." The Chancellor chose a different type of power-house for his acceptance speech - the slick City of London headquarters of Bloomberg, the US financial information giant. Its data is the lifeblood of investment bankers and millionaire traders who are the new aristocracy of the globalised economy. Increasingly, they are also advisers on government policy. Clearly, no one could be allowed to think Mr Brown plans to lead Labour back to the left. In Bloomberg's neon-lit auditorium, the new, happy, smiling Mr Brown was on display, the prime minister-elect clearly revelling in his total dominance of the Labour leadership election, dominance that yesterday confirmed he will not face a ballot for the post. He grinned repeatedly as he took questions about his triumph and about the full prime ministerial range of political issues, from managing the National Health Service to Britain's relationship with Europe and the US. But one question seemed to send a dark cloud fleeting across the Chancellor's sunny visage: "Why had he not congratulated Mr Salmond on his appointment, and did he look forward to working with the new First Minster?" "I congratulate him on becoming First Minister," Mr Brown replied, momentarily forgetting to smile. As for why he had not picked up the phone in person, Mr Brown insisted that a call to Mr Salmond on Wednesday from Douglas Alexander, "our Secretary of State for Scotland," would suffice. If Mr Brown grimaced at the mention of Mr Salmond's name, it was because the nationalist coup in Edinburgh threatens to cast a long shadow over his premiership. He has made no secret of his belief that Labour will only win a fourth general election if it holds on to the marginal seats in southern England. In those areas, for Mr Brown to be seen to obsess about events in Edinburgh could remind voters their new prime minister is a Scot, an MP whose government at Westminster passes legislation largely irrelevant to his own Fife constituents. A high-profile war with Mr Salmond is simply not in Mr Brown's interests. However, it could be in Scottish Labour's. For many hope that Mr Brown will put the squeeze on Mr Salmond, leading to his minority government falling, enabling a new Labour-Lib Dem alliance to pounce. The incoming prime minister plans to pile pressure on to the new First Minister, forcefully reminding Mr Salmond that he holds power by a slender margin with no mandate for major constitutional change. "I think it's a huge responsibility that he has taken on," Mr Brown said of Mr Salmond, serving notice that Labour will quickly condemn as "irresponsible" any SNP move to alter the devolution settlement. "He is the lead party in terms of numbers of parliamentary seats," Mr Brown said, his voice drained of earlier enthusiasm. "But he doesn't have a majority." He continued: "While I congratulate him and respect the decision that has been made, I remain firmly committed to the union." "I do not believe the vote was a vote for separation and independence." During his speech, Mr Brown highlighted a "draft constitutional reform bill" which would give people a "new kind of politics" where power would be devolved down at a local level. "I want to be a voice for communities far beyond Westminster," he said. Mr Brown did not refer to Mr Salmond's ambition, but earlier, Jack Straw, the leader of the House of Commons, dropped a hint that ministers in London will resist any move to alter Holyrood's powers. "The terms of the devolution settlement have not been altered by either the election results in Scotland or by the election of a new First Minister in Scotland yesterday," Mr Straw told the SNP's Angus MacNeil. Mr Straw is no mere middling cabinet minister fobbing off a nationalist question. He has managed Mr Brown's campaign for the leadership and has thought deeply about constitutional reform, thoughts that will inevitably inform Mr Brown's approach as prime minister. Privately, another minister close to Mr Brown yesterday sketched out a relationship between London and Edinburgh where both sides seek to avoid spectacular confrontations. "Alex is a smart politician, but he didn't plan to find himself in this position, so he's having to make it up as he goes along," he said. "If he doesn't go looking to pick fights, that's fine by us. But the question is whether his party will be willing to let him to do that. "He may well struggle with discipline and that could mean it all kicks off." ALEX Salmond officially became Scotland's new First Minister yesterday after being sworn in at a brief legal ceremony. Mr Salmond took the oaths of office at the Court of Session in Edinburgh, watched by 15 of the country's Law Lords. 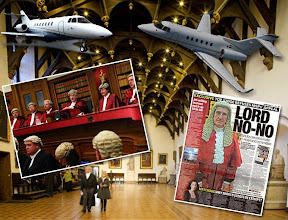 An assortment of SNP members, legal figures and parliament staff packed number one court, with many onlookers having to stand in the aisles and on its upper floor. Mr Salmond's decision to slash the size of the Cabinet at Holyrood to 16 posts - compared to 19 under Jack McConnell - prompted criticism. Both Mr McConnell, the Labour leader, and Tavish Scott, his Liberal Democrat counterpart, hit out at the size of the department to be headed by John Swinney, as cabinet secretary for finance and sustainable growth. As well as the economy and local government, and the budget, it will take in energy, tourism, climate change, public transport and Scottish Water. Mr McConnell said this would jeopardise the economy's place as the top priority. DEVOLVED ministers in Scotland, Wales and Northern Ireland may unite to demand more power and money from London, it emerged last night. An SNP source close to the Scottish Executive last night raised the prospect of reviving a Whitehall committee to co-ordinate pressure on Westminster. The Joint Ministerial Committee, originally created to act as a conduit between devolved administrations and London ministers, has lain dormant since 2002. But with the Scottish Nationalists in charge in Scotland and the Northern Ireland assembly now restored, there is talk of the committee being started up again and used to make new demands on Westminster, possibly even cuts in corporation tax. The first signs of co-operation emerged yesterday with the news of a conversation on Wednesday night between Alex Salmond and Rev Ian Paisley, the First Minister of Northern Ireland. "There are things Wales, Scotland and Northern Ireland have in common. If we go to the British government in harness, we will get more out of them," Rev Paisley said. He added that Mr Salmond would visit Belfast next week for talks. After a few days of fretting among the defeated Labour & LibDem Coalition on what to do, Alex Salmond has been voted Scotland's first SNP First Minister, and today we finally have a Ministerial Cabinet to run the Executive - with no help from the opposition parties it seems ! Of course, while Scotland moves forward at last, the occasional hiccup crops up, as it certainly did in the Scottish Borders the other day, where the new coalition of Liberal, Tory & Independent councilors which 'run' Scottish Borders Council had their first fight - only a few hours into the deal, which saw the Tories accused of pushing an Independent Councillor off his chair ! Another fine example of stupidity from Scottish Borders Council, where only it seems the worst calibre of politicians get elected to run what has to be one of Scotland's most corrupt local authorities. 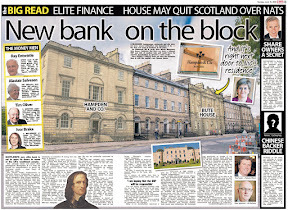 Maybe this lot should be deposed and the new Executive could take over the running of the Borders - and bring in some decent people to run the Departments at SBC, rather than some of the spiteful vindictive figures which have graced the halls of SBC's Newtown StBoswells Headquarters for so long. Anyway back to national issues, and within the Ministerial appointments, we see the excellent John Swinney as Finance & Suststainable Growth Minister - certainly a good appointment there, and from what I see of the rest of the team, no significant surprises or causes for worry. 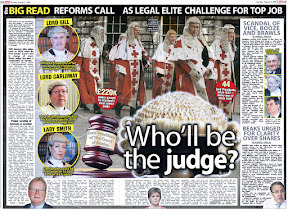 Kenny MacAskill gets the Justice portfolio, of course, which isn't a surprise, but what now for reform of the judiciary and the remaining reforms to the legal system and the operation of the legal profession ? 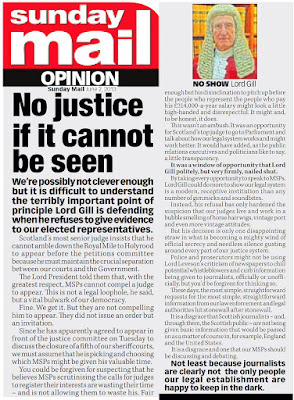 Would a minority government be capable of taking on Scotland's Judiciary on the subject of much needed reform, given the ferocity of resistance we have seen in the past from the Judiciary when even mere talk of reforms came to the fore ?. 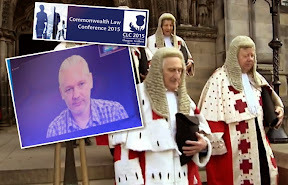 There may be little chance if previous experience has anything to go by .. not forgetting the SNP chaired Justice 1 Committee inquiry "Regulation of the legal profession" in 2001, where the Sheriff's Association threatened the then J1 Committee with court action if they investigated the role of Sheriffs ... J1 of course, backing down immediately. 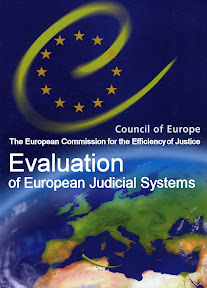 Personally, I don't think we will see much in the way of Judicial reform in this Executive ... not at least unless the other parties cooperate in any plans, and on such a strong issue as this, which at least, only the Labour party showed any willingness to pursue in the past .. I can't see that cooperation materialising. Of course, that's not to say we should'nt be lobbying for reforms to the Judiciary even though the numbers at Holyrood may not add up because it has been quite obvious for many years the Judiciary in Scotland needs a few changes to it's hundreds of years old operation and accountability only to itself ... something which doesn't really fit in with transparency & modern day human rights when people seek to question or take issue with failings from the Judiciary itself. 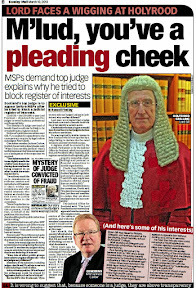 Going back to the issue of reforming the legal profession, Mr MacAskill was recently reported by the Herald newspaper to be wavering on some policies such as raising the small claims limit and opening access to justice, something which there seems a reluctance to put into practice, despite growing calls for opening up the legal services market in Scotland. 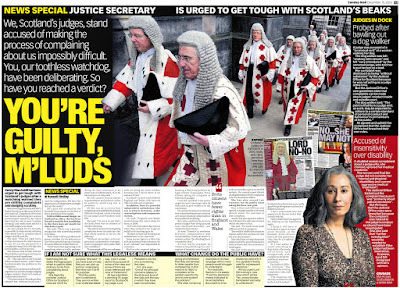 I covered this issue here : It's time for Injustice to end, but will the SNP end Injustice in Scotland ? As far as reforming Justice and ending Injustice go, we must now expect the SNP to deliver on this, after eight long years of inactivity on the issue from the Scottish Parliament where victims of injustice have been left largely unaided by their msps, unless it suited party political means to do something about it. 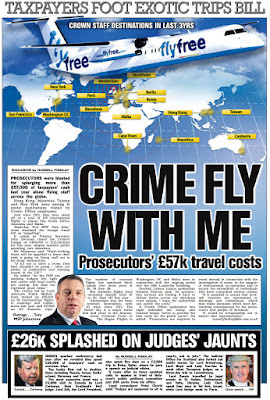 There is now no excuse for sitting on the fence - no more excuses for just complaining about it now, the SNP are in Government so that's it - let's deliver and give Scotland a respectable justice system and an honest accountable legal profession - which we all need, use, and deserve, and lets not forget the victims of injustice of the past which require also to be put right without delay. ALEX Salmond invited his political opponents to forge a new consensual era of Scottish politics yesterday, using his maiden speech as First Minister to call for an end to the dogmatic party divisions which have characterised parliamentary business since devolution. Aware that he will have to run Scotland with little more than a third of its MSPs, Mr Salmond appealed to all the MSPs in the chamber to work together in the country's best interests. And, in a move that will infuriate Gordon Brown, the likely next Prime Minister, the SNP leader said he felt significant progress could be made if the parties united to call for more powers for the parliament. Mr Salmond was elected as First Minister at precisely 11:11am yesterday morning. The outcome, although expected, was greeted with jubilation on the SNP benches and in the public gallery, from where his wife Moira, father Robert and sister Gail were all watching. His victory, which came with the aid of votes from Scotland's two Green MSPs, will enable him to form a minority SNP administration. The Nationalists are 18 seats short of a majority in the 129-member parliament. In his speech, Mr Salmond stressed the ties and causes which united MSPs of many parties, not the divisions between them. "We are not divided. We have a sense of ourselves. A sense of community. And above all, a sense of the 'common weal' of Scotland," Mr Salmond declared. "We are diverse, not divided," he said. And he added: "There is a broad consensus on the need for this parliament to assume greater responsibility for the governance of Scotland, and there is an understanding that we are engaged in a process of self-government - and an awareness of the distance already travelled." Jack McConnell picked up on Mr Salmond's theme, saying: "Voltaire once said that governments need both shepherds and butchers and I think Alex may need to be more of a shepherd than a butcher in his new role, looking around this flock here and trying to secure majorities for his policies." He also gave a clear hint in his speech that he intended to stay on as Labour leader in Scotland, at least for the near future. "I am very proud to lead the largest and most experienced opposition that this parliament has ever had and I look forward to that job," he said. But the former First Minister also took the opportunity to warn Mr Salmond that he did not have an "unconditional" right to govern. "You think you can imagine what it's going to be like but, when you imagine, it's never quite the reality. It's a wonderful day." Mr Salmond went on from the parliament, where his party were still celebrating his election as First Minister, to St Andrew's House, the home of the civil service in Scotland. He met Sir John Elvidge, the Permanent Secretary, and then unveiled his slimmed-down ministerial team. However, the new sense of consensual politics appeared to dissolve as soon as Mr Salmond announced that he was trimming the previous nine departments to just six. Mr McConnell immediately criticised the plans as a "badly prepared rearrangement". "This is change for change's sake, but the impact could be very damaging." The new First Minister took a congratulatory telephone call from Douglas Alexander, the Scottish Secretary, but by last night he had still not heard from either the Prime Minister Tony Blair or Mr Brown. Soon after Mr Salmond's election in the parliamentary chamber, the Queen signed the warrant appointing him as Scotland's First Minister. The Queen will see Mr Salmond in person in Scotland next week. Today, Mr Salmond will perform a ceremony in the Court of Session before the Great Seal of Scotland which will give him the legal power to run the Scottish Executive. He will later undertake his first official engagement, an environmental announcement at Longannet Power Station. Cardinal Keith O'Brien, head of the Catholic Church in Scotland, welcomed the SNP leader's appointment. "I am sure that he will work for the good of all the people of this country," he said. Matt Smith, the Scottish secretary of Unison, congratulated Mr Salmond and asked for an early meeting with representatives of the new administration. Friends of the Earth Scotland welcomed the appointment of what they described as a "tough on climate change, anti-nuclear" First Minister and they urged all MSPs to support the new Executive's environmental plans. THE new slimmed-down Cabinet for Scotland saw Alex Salmond award trusted lieutenants with senior posts but also a few surprise faces. The new First Minister has reduced the number of departments from nine to six by merging certain portfolios. But the breakdown of departments was already causing concern yesterday. Opposition politicians said twinning transport with climate change could cause a conflict of interest and de-coupling enterprise from higher education was a mistake. However, Mr Salmond insisted the new government would be more focused. "It sends a signal for the rest of the public administration in Scotland," he added. Mr Salmond has two deputies. BRUCE CRAWFORD will need all his diplomatic skills as minister for parliamentary business. As minister for Europe, external affairs and culture, LINDA FABIANI has a huge portfolio with responsibility for Gaelic, architecture and the arts. NICOLA STURGEON will be deputy first minister as well as cabinet secretary. This means leaving Shona Robison, who was expected to get the role, out of the cabinet. Instead she will take on a junior post as public health minister. Stewart Maxwell,who first proposed the public smoking ban, is minister for communities and sport. As expected, the most important role goes to former leader JOHN SWINNEY. His deputies are the SNP's economic brains: Jim Mather as minister for enterprise, energy and tourism, and Stewart Stevenson as minister for transport, infrastructure and climate change. As the former spokeswoman on education, FIONA HYSLOP was an obvious choice as cabinet secretary. Her deputies are more unexpected. Maureen Watt, the minister for schools and skills, has been in Holyrood for just over a year and Adam Ingram, minister for children and early years, is an unshowy character. After serving as justice spokesman, KENNY MACASKILL was rewarded with the job, fresh from winning the SNP's first seat in Edinburgh. 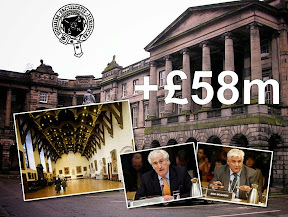 His deputy, Fergus Ewing, was expected to get a senior role, although minister for community safety was an unusual move. RICHARD LOCHHEAD, the Nationalists' former fisheries spokesman, has landed a senior role as cabinet secretary but his inexperience may tempt some opposition politicians to try to target him for attacks. Michael Russell, the author, commentator and former television producer, makes a comeback as minister for the environment. THANK you, Presiding Officer, for your congratulations; and can I now turn to the party leaders to thank them. Firstly, Annabel Goldie. I toasted Annabel Goldie recently at the Scouts and Guides Burns Supper and such was the excellence of her replying to the toast to the lassies that I was sorely tempted to vote for her today. Tempted Annabel, but not seduced. My wife Moira and wee sister Gail are here today - it's a good job my big sister is not here, Annabel. But my dad is here today as well. My father has never seen me in the chamber because he always refused to set foot in the Palace of Westminster; some people say I should have heeded his advice. But I thank my family for their support today. I thank Nicol Stephen for his typically gracious speech. I listened carefully when you listed all your manifesto commitments. I am not sure the government can afford all of them but we will certainly try our best. Lastly, can I turn to Jack McConnell to thank him for his good wishes. Mr McConnell once said the job of First Minister was to leave Scotland better than how you found it, and I think in terms in particular of the ban on smoking and campaign to tackle sectarianism, Jack McConnell has certainly done that. I applaud your continued efforts in that direction and wish you and Bridget all the best for the future. Thank you very much. This parliament, as we should remember, is created by the people of Scotland in a referendum. It is bigger than any of its members or any one party. I believe that Scotland is ready for change and for reform. This is a small nation with a big future. But it is also a small nation with big challenges. It was said earlier on that Scotland is a divided nation. Given the closeness of the election result, I can understand that in some ways. However, it is not the case. Certainly, the gap between rich and poor is far too great. We need to grow faster. We need to heal the scars of the past. We need to be greener. We need to be still smarter. But we are not divided. We have a sense of ourselves. A sense of community. And above all, a sense of the "common weal" of Scotland. In some ways we're not even a divided parliament. Of course, in this part of the chamber, we seek independence and equality for Scotland. I'm told not everyone agrees. But there is a broad consensus on the need for this parliament to assume greater responsibility for the governance of Scotland. And there is an understanding that we are engaged in a process of self-government - and an awareness of the distance already travelled. In 1961, Bashir Ahmad came to Glasgow to drive buses. In 1961, the very idea of a Scottish Parliament was unimaginable. In 1961, the very idea of a Scots Asian sitting in a Scots parliament was doubly unimaginable. But Bashir is here and we are here, and that part of the community of Scotland is now woven into the very tartan of our parliament. And we are stronger - so much stronger - as a result. We are diverse, not divided. The nature and composition of this third Scottish Parliament makes it imperative that this government will rely on the strength of argument in parliament and not the argument of parliamentary strength. Despite all the challenges we will face together, I welcome that as a chance to develop a new and fundamentally more reflective model of democracy. The days since the election have been understandably dominated by questions over the structure of government - will there be a coalition or will there be a minority government? Let me say to parliament that what matters more to the people we all represent is less the structure of government and more what we, all of us, achieve on the people's behalf. Presiding Officer, all of us in this parliament have a responsibility to conduct ourselves in a way which respects the parliament the people have chosen to elect. That will take patience, maturity and leadership. My pledge today is that any Scottish government led by me will respect and include this parliament in the governance of Scotland over the next four years. In this century, there are limits to what governments can achieve. But one thing any government I lead will never lack is ambition for Scotland. Today, I commit myself to leadership wholly and exclusively in the Scottish national interest. We will appeal for support policy by policy across this chamber. That is the parliament the people of Scotland have elected, and that is the government that I will be proud to lead.